How do you overcome circumstances that are Volatile, Uncertain, Complex and Ambiguous (VUCA)? 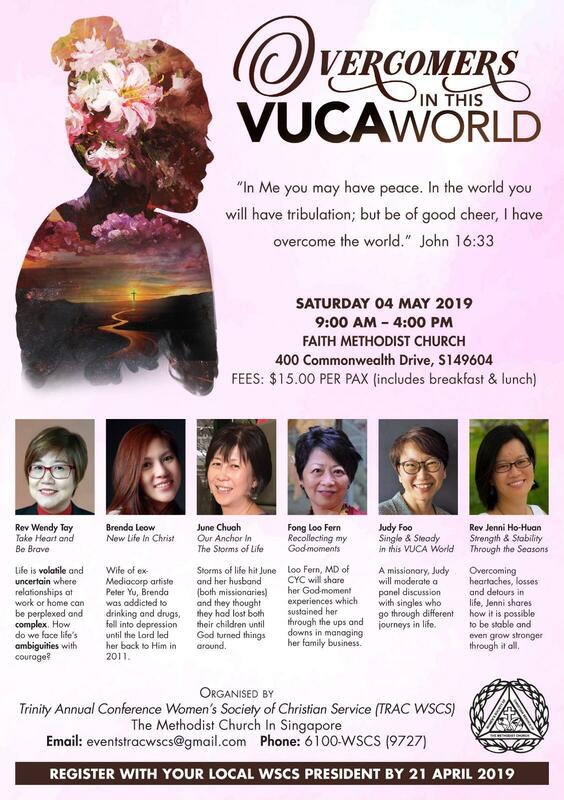 Come and join this Women's Conference to be inspired by working women sharing how they rise above the challenges to become overcomers in this VUCA world! Register now with your local WSCS President or representative! Registration closes on 21 April 2019. Organised by TRAC WSCS, for more info, please visit www.facebook.com/tracwscs, email eventstracwscs@gmail.com or call +65 61009727.